A partner of Tax & Financial Group, Ken has been with the firm since 1976. He specializes in Estate Planning, Deferred Compensation, and Insurance Strategies for business owners. He also holds Series 6, 7, 22, 63 and 65 Securities Registrations. Ken is a Registered Representative and Investment Advisor Representative of Securian Financial Services, Inc.
Ken graduated from Loyola University of Los Angeles in 1967 and received his Masters Degree in Education in 1971. 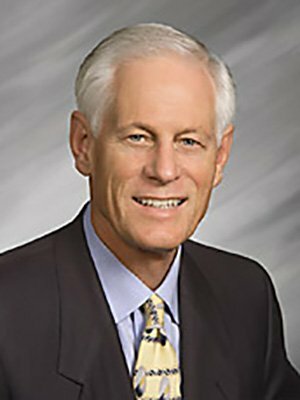 He has served as a member of the University's Board of Trustees. Ken has served as President of both a national marketing group and a local association of financial professionals. In addition, he has served as Board Member on several community and state non-profit organizations. Ken's main interests in life are politics, golf, and his family. He lives in Corona del Mar, California. He has two children, Scott and Stacy, and six grandchildren. "In servicing my clients, I shall recommend that course of action or provide that service which, had I been in the same situation, I would have applied to myself."